The Irish cheeses accumulated 69 awards between them at the 118th International Cheese Awards in Nantwich, Cheshire, UK. Ralph Haslam, of Mossfield, with his trophy at his farm in Co Offaly. Some 14 Irish cheeses were honoured at the International Cheese Awards, which took place in the cheese marquee at the Nantwich and South Cheshire Show. Organisers of the awards said they had their biggest year to date, receiving an all-time high of over 4,600 entries from 274 exhibitors. Representatives from 31 different countries entered the competition. Irish cheeses won eight trophies, 19 gold medals, 17 silver medals, 17 bronze medals and eight very highly commended awards from the 200 judges. Mossfield Organic Farm, based in Birr, Co Offaly, was awarded The Waitrose Trophy for ‘‘Best Cheese in Specialist Cheesemakers’’. Other trophies went to Kerry, Glanbia and Carrigaline Cheese. Reacting to the award, Ralph Haslam of Mossfield Organic Farm, said he was delighted with it, as it was a great boost for the company. "It's really helps to raise the profile of the business and will allow us to expand our product range even further." In business since 2004, with a 110 dairy cow herd, Mossfield supplies its products all around the world, including to the UK, Holland, North America and Dubai. 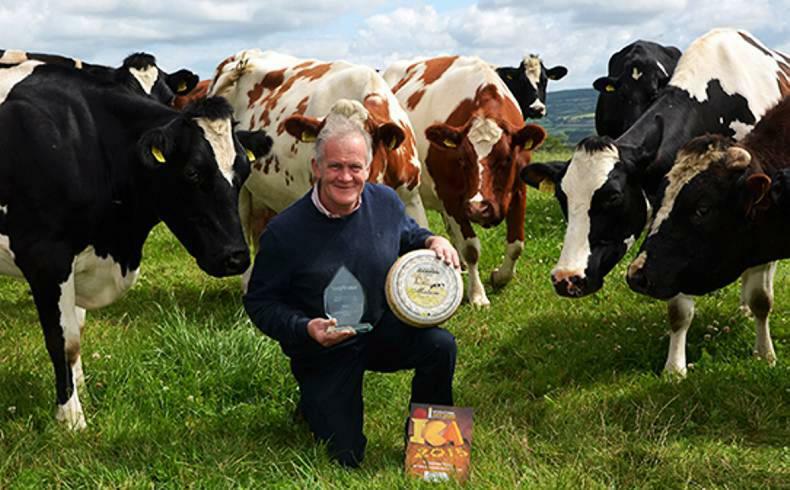 Gold medals were awarded to Glanbia, Kerry, Ornua, Cahill’s Farm Cheese, Old Irish Creamery, Dairygold, Mossfield, Cashel Blue, Green Pastures and Carrigaline, while silver medals went to Glanbia, Kerry, Ornua, Carbery, Mossfield, Dairygold, Carrigaline, Green Pastures and the Tipperary Cheese Co. The export value of Irish cheese grew by around 5% to reach over €175m in 2014. The UK accounts for close to 60% of cheese exports, while strong increases were evident to international markets such as Japan, the US and Saudi Arabia. In terms of farmhouse cheese, some 50 cheesemakers now produce more than 150 types of cheese. The sector has continued to experience recent export growth, targeting 25 markets worth approximately €5m. Here is your news round-up of the five top farming stories and weather outlook for Saturday 20 April. Silage being cut at Dublin Airport 2019. Saturday is forecast to be a warm and dry day, with sunshine developing after clearance of mist and fog. Met Éireann has said that it will stay cloudy in Connacht and west and north Ulster, with some light rain or drizzle there along the coast. Afternoon temperatures will range between 15°C and 16°C in the northwest to between 17°C and 22°C elsewhere. A tractor, low-loader and digger were used in the early hours of Friday to rob two ATMs in Kells, Co Meath. Vigilante animal activists could face up to 12 months in prison for sharing personal information which allows them to target and trespass on farms, if the current Australian government is re-elected. Over 55,000 farmers have applied to date to the Over 55,000 BPS applications made to date" target="_blank">2019 Basic Payment Scheme (BPS). Representatives from FBD have blamed the cost of high insurance premiums ‘Cost of insurance is too high’ – FBD" target="_blank">on people who are too willing to make insurance claims and the Irish legal system, which is too generous with pay-outs. The annual silage harvest at Dublin Airport began on Thursday. The connection between passport applications and BPS applications. Two houses have already been taken by the blaze, which is raging in the Annagry area of the county. Fire-fighters and locals in the Annagry area of Donegal are fighting a gorse fire which has destroyed two homes in the area. 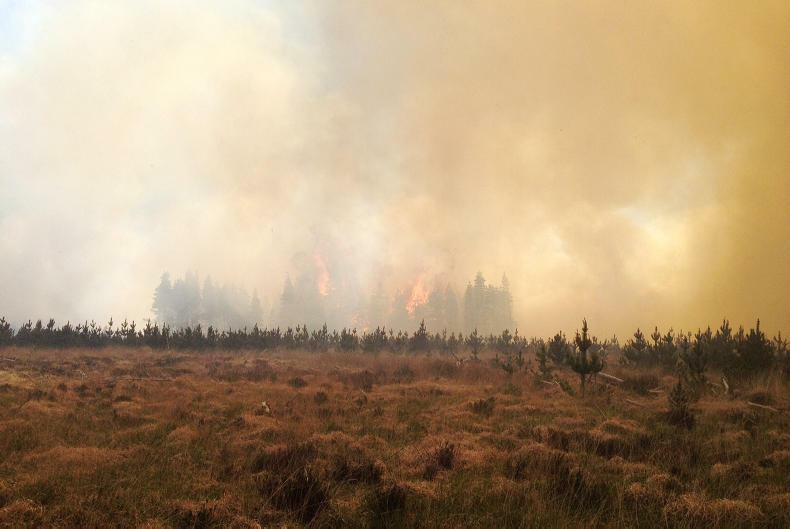 The Donegal Daily reports that eight units of Donegal fire brigade are battling the blaze. It also reports that locals are fighting the fire. The Malin Coast Guard is helping to assess the area currently being covered by the fire. One Twitter user tweeted an image of smoke from the fire earlier today. The fire comes following a a condition orange fire warning, which called on forest owners, farmers and rural dwellers to be vigilant over the bank holiday weekend for fires. There is a high risk of fires this weekend as a result of easterly high pressure conditions and forecast high temperatures. The annual silage harvest at the country’s busiest airport began on Thursday. 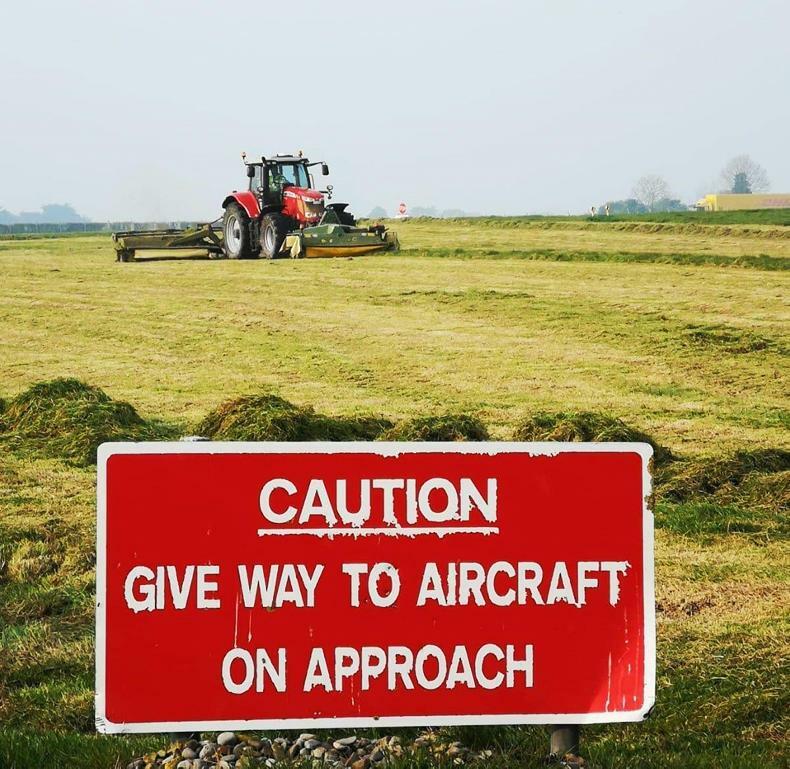 The dry weather over the past few days in the east allowed for silage to be cut at Dublin airport on Thursday. 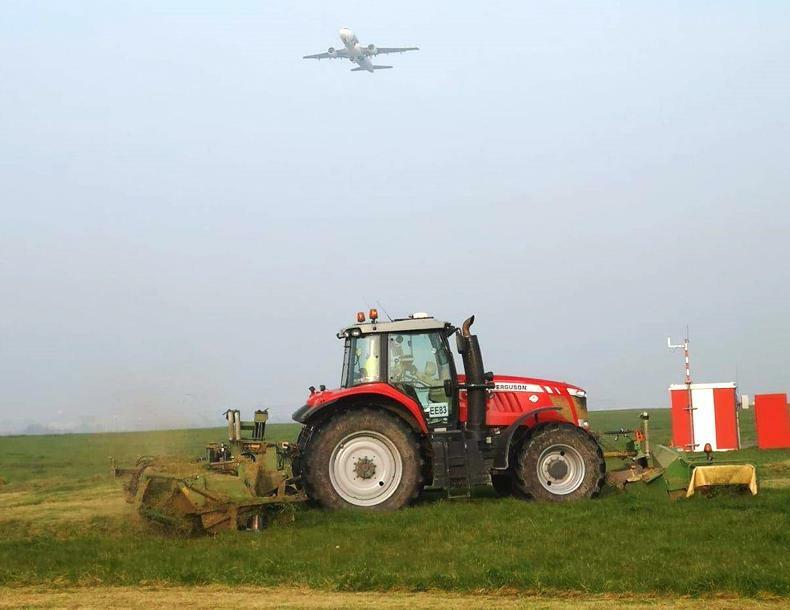 Tractors and mowers were called into action to kick off the 2019 silage season at Dublin Airport on Thursday. 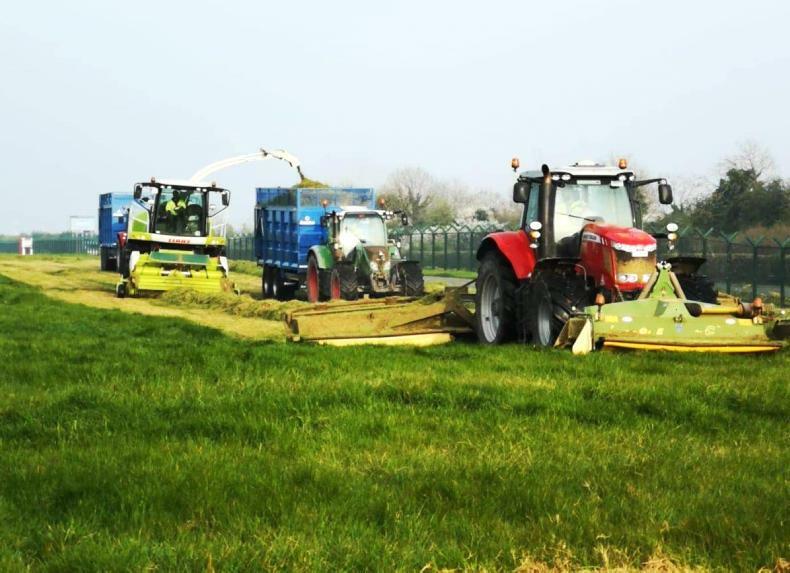 Over 200ac of silage will be made at the country’s largest airport over the next two days, according to Ciarán Hoey, one of the tractor drivers on the job. A team of seven drivers was operating the fleet of butterfly mowers, a harvester, six trailers and Massey Ferguson tractors to make silage in the short time window. “With security being very strict, it will be a highly co-ordinated harvest,” explained Hoey. 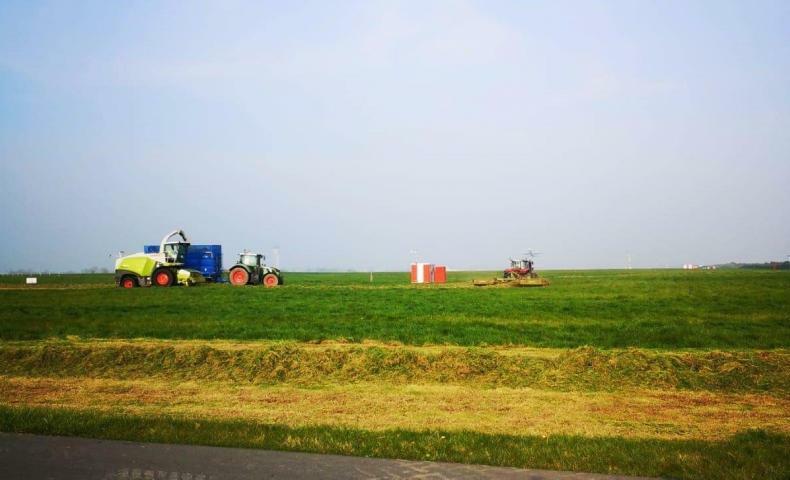 The grass will be drawn a short distance to a nearby farmer for pit silage.